U.P. 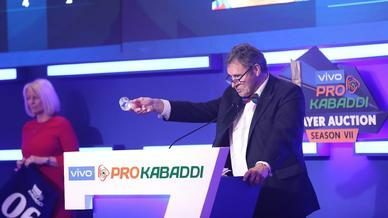 Yoddha and Tamil Thalaivas played out a 25-25 tie in a tense match at the Tau Devilal Sports Complex in Panchkula on Saturday. 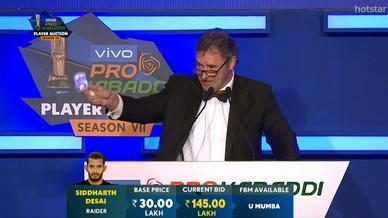 Tamil Thalaivas’ Amit Hooda and U.P. Yoddha’s Nitesh Kumar managed High 5s on the night while Prashanth Kumar Rai returned a Super 10 from the game. The Tamil Thalaivas raiders dominated the start of proceedings and helped the team get a 5-1 lead early in the match. However, U.P. Yoddha’s in-form raider Prashanth Kumar Rai soon got into the act by leading the team’s raiding department and, a successful tackle on Sukesh Hegde helped the team draw level at 5-5. The lead kept changing hands from there and both teams managed to reduce the other to three players on the mat through the course of the first half but were unable to strike the killer blow to force an All-Out. A Super Tackle by Tamil Thalaivas on Sachin Kumar in a Do-or-Die raid helped them take a 12-10 lead in the match with just about a minute to play in the half and Ajay Thakur managed to increase that to 13-10 going into halftime by escaping Sagar Krishna’s Ankle Hold attempt. Thakur finished the half as the most successful raider among both teams with 6 raid points to his name. U.P. 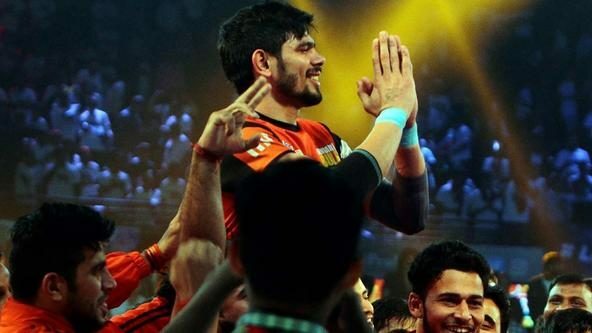 Yoddha put in a strong defensive effort in the second half where they cut into the Tamil Thalaivas lead and then managed to draw level through Nitesh Kumar’s Thigh Hold on Thakur 10 minutes into the half. With the scores reading 17-17 at this point, a close game was assured. The defensive units of both teams gave nothing away after that though as the scores differed by just a solitary point with little more than five minutes left on the clock. But D. Pradap then came up with a brilliant escape where he returned 2 touch points to help Tamil Thalaivas build on their lead and increase it to 21-18. 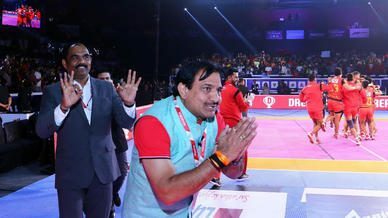 With the scores level at 23-23 in the closing stage of the match, Tamil Thalaivas managed two vital points, first with Amit Hooda’s Block on Sachin Kumar and then with Pradap’s successful Toe Touch on Jeeva Kumar, to gain a crucial lead. U.P. Yoddha, however, managed to draw level through Rai’s two successive successful bonus attempts, bringing the game down to the last raid. The Super Tackle was on for U.P. Yoddha at this point and Pradap took no chances, choosing to just run down the clock as both teams had to settle for a 25-25 tie. 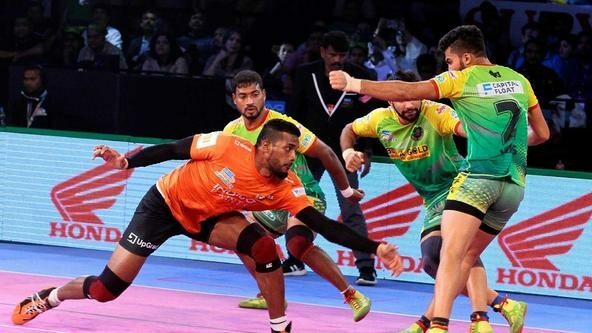 Thakur was not allowed a single point in the second half after his 6-raid-point first half while Rai managed 7 raid points in the half to lead the fight for his team.